"Are there any groups I can join for parents and babies?" CAPS Hauraki offers a range of parenting programs including Baby’space and Playspace for babies and toddlers and their caregivers. 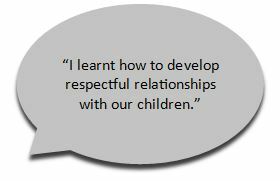 Baby’space is the foundation to creating a respectful relationship with your baby right from the word go! Baby’space is a weekly group program delivered over 10 weeks where both you and your baby (between the age of 3 and 7 months) attend together. The program shows you how to create partnership with your child during the care moments (feeding, changing, bathing etc.). It also allows your baby to develop physical skills using their own internal drives and natural development. Playspace is a parent and toddler program to help you to be a calm and present parent of a toddler. The program helps give you an understanding of the patterns of play which are the internal urges of toddlers. The program also helps you to change your default settings about conflict (conflict with your toddler or between children ). The program is designed for toddlers aged approx. 1-2 and their caregivers and runs weekly for 10 weeks.